We launched Virtual Nurse back in January 2017 with the view of providing voice based information about illnesses, medications and first aid via Amazon’s Alexa & Google Assistant. Today Virtual Nurse has around 50,000 active users across both platforms and it’s growing daily. With roughly around 700 – 800 subjects and with users from so many countries, Virtual Nurse is able to provide detailed information focused around illnesses, medication and first aid procedures. Alongside this, Virtual Nurse can also provide users with the emergency contact phone number for any given country. Simply ask “Alexa, ask Virtual Nurse for the emergency number in Germany” and Virtual Nurse will provide you with the requested number. What can Virtual Nurse do? 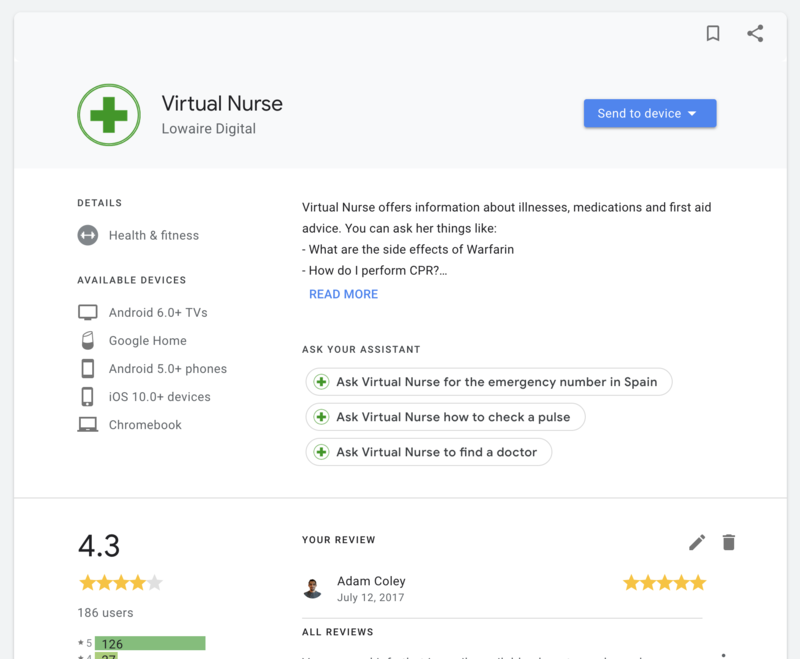 We plan to build two companion apps on both Android & iOS for Virtual Nurse which connects directly to Virtual Nurse on Alexa & Google Assistant (via account linking). This would then allow us to integrate third-party API’s and services into the app i.e. Fitbit API, product recommendations. It would also provide a user with an easy way of entering complex data such as age, weight, height, BMI, medications, medication reminders, medical appointments and illnesses etc. We would then like to use this data to provide users with more tailored information via Alexa and Google Home. For example, we would like a user to be able to ask Virtual Nurse if they can take a specific medication based on what medications they are currently taking and if it’s something which conflicts with an existing medication, Virtual Nurse will inform and warn the user. Alongside medication conflicts, we are also experimenting with voice based symptom checkers for both Hay fever and pregnancy symptoms as well as medication and appointment reminders. Which is something we plan to integrate into Virtual Nurse in the coming months. We don’t work for the National Health Service (NHS) and we are not affiliated with them. Our team utilise NHS Digital’s content and public API in order to provide the highest possible quality of content to our users. 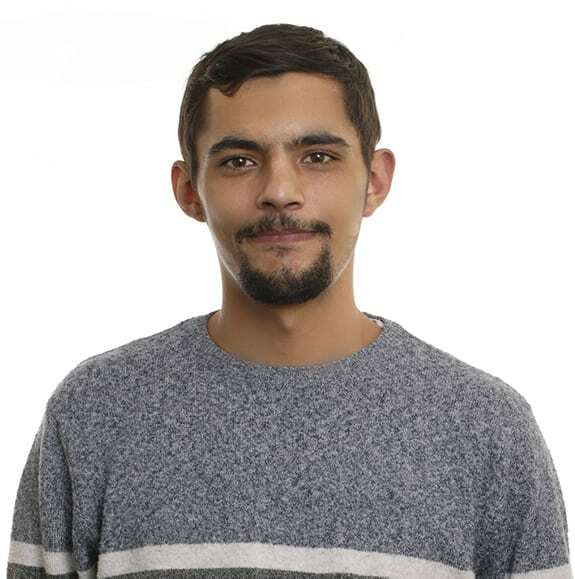 We developed Virtual Nurse on a machine learning platform and a realtime database which connects with Alexa & Google Assistant. Therefore Virtual Nurse learns naturally when users interact with it about specific subjects. In addition to this, Virtual Nurse has been used over 57,000 times by over 24,000 customers on Alexa alone. What The Benefit of All This Data? With such data we can provide a way for users to measure medications, illnesses and general health in a completely different way. Better yet, we can provide a way for users to seamlessly access that data via voice interaction.